Becoming gluten free has been a wonderful thing for myself but I have to say I do have foods that I miss. Every weekend I make a big breakfast for my family but when I first went gluten free I quit eating breakfast with my family. I tried a few recipes here and there like Almond Flour Pancakes that are a great gluten free option but I had a craving for a favorite weekend standby of ours, Biscuits and Gravy. I have written about our love of biscuits and gravy before. We are a southern family. I was raised in the south and 3 of my kid’s were born in the south. Biscuits and gravy are a staple in our house and even have made special appearances for brinner from time to time. I had my work cut out for myself. I needed to figure out how to make a gluten free biscuit. 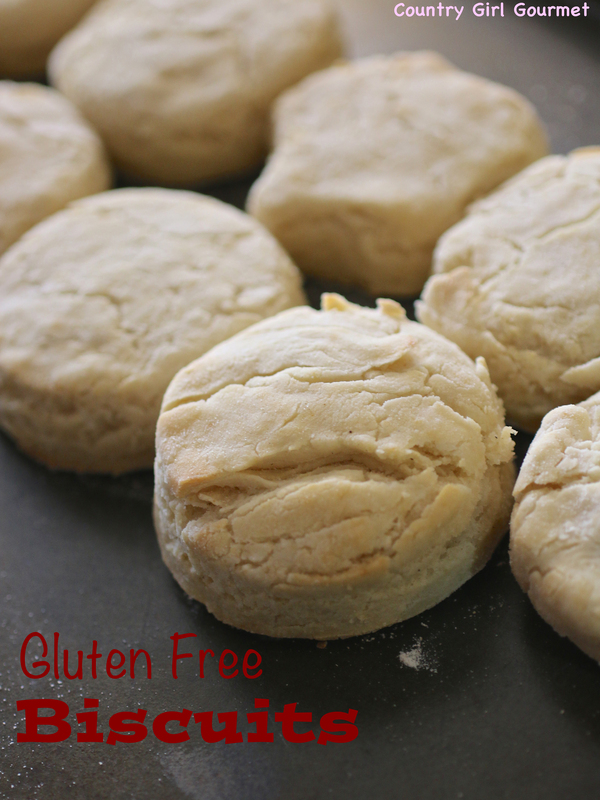 I tried several different biscuit recipes from gluten free websites to adapting regular recipes to gluten free. It took some trail and error but I finally found a recipe that worked. 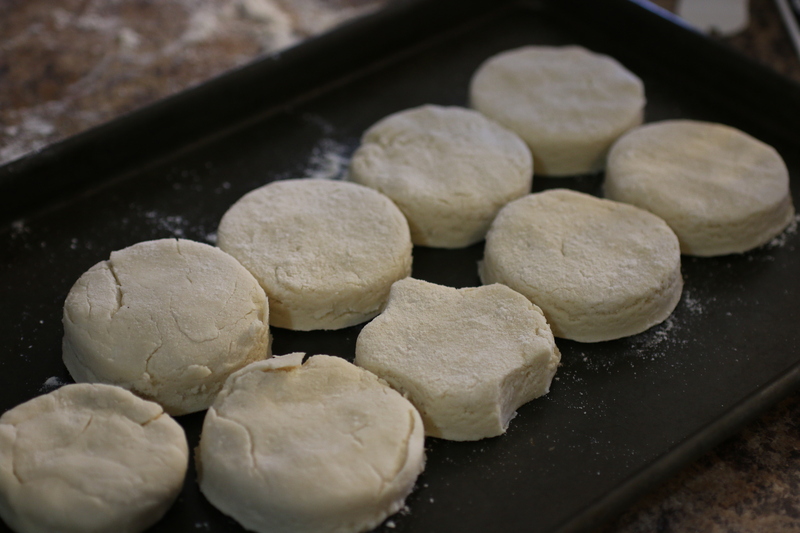 I went back to one of the first biscuit recipes I had ever made, J.P.’s Big Daddy Biscuit’s recipe on Allrecipes and made it gluten free. It is now my go to biscuit recipe. Gluten Free biscuits are made in a similar manor as regular biscuit. 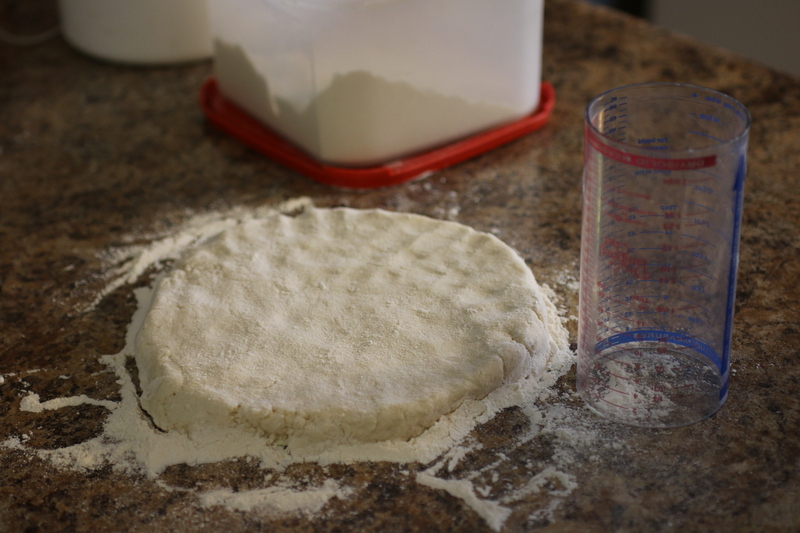 The only difference I found was the dough was stickier so keep either gluten free all purpose flour or rice flour around for dusting. I don’t roll out my biscuit dough. I never have. I pat it out to my desired thickness. Usually about an inch thick. I also do not own a biscuit cutter. I use a pampered chef mixing cup. My mom always used a glass. Don’t be afraid to think out of the box when it comes to cutting your biscuits. I place them on the cookie sheet and then let them rest about 10 minutes are so before baking. They bake for 20 minutes and come out nice and golden. I have learned that gluten free biscuits do not rise as much as regular biscuits but that is ok. The flavor is there and that is what we want. The biscuits are now ready for eating your favorite ways. They are perfect with sausage gravy. Just use Rice Flour (white or brown) instead of All Purpose Flour as your gravy thickener. 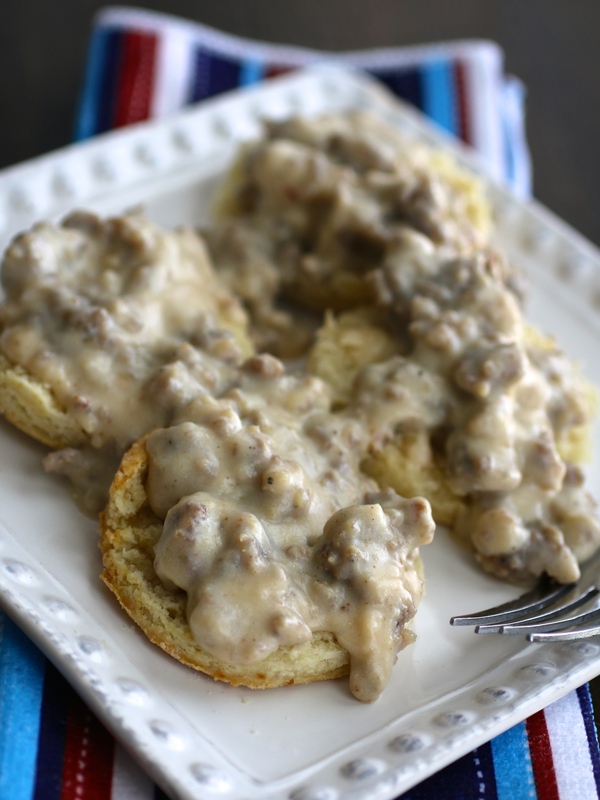 You can check out my regular sausage gravy recipe HERE. 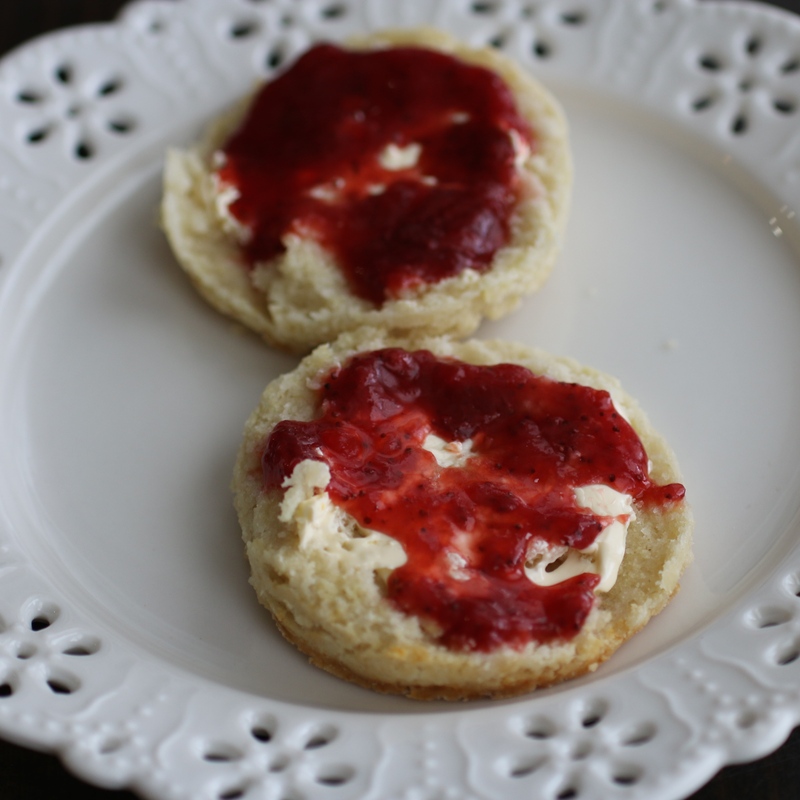 Or maybe just a bit of butter and homemade Strawberry Jam is how you like your biscuits. These biscuits are really great for all your biscuit needs and wants. Try them for yourself and tell me what you think! In a large bowl, mix together gluten free all purpose flour, baking powder, xantham gum, salt, and sugar. Cut in the shortening until the mixture resembles coarse meal. Add milk and combine until all moistened. Do not over mix. Put gluten free flour on counter and take dough and pat out or roll to a about 1in thick. 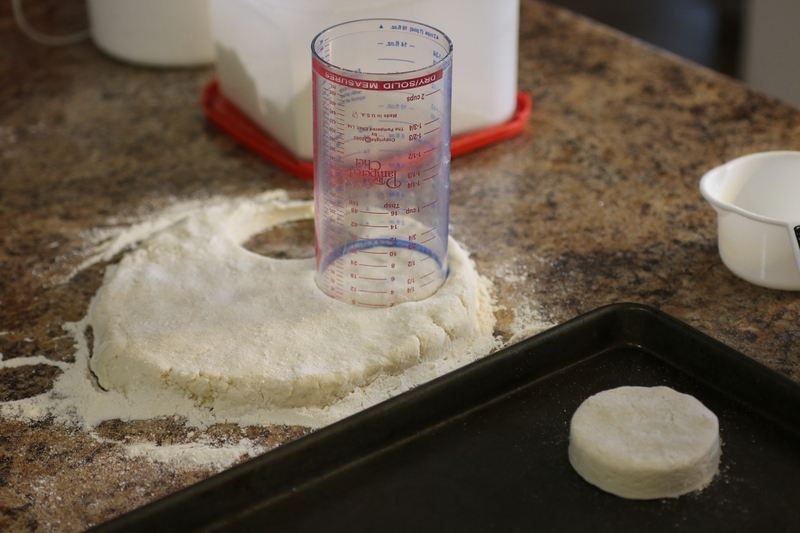 Cut biscuits with a large cutter or glass dipped in flour. Repeat until all dough is used. 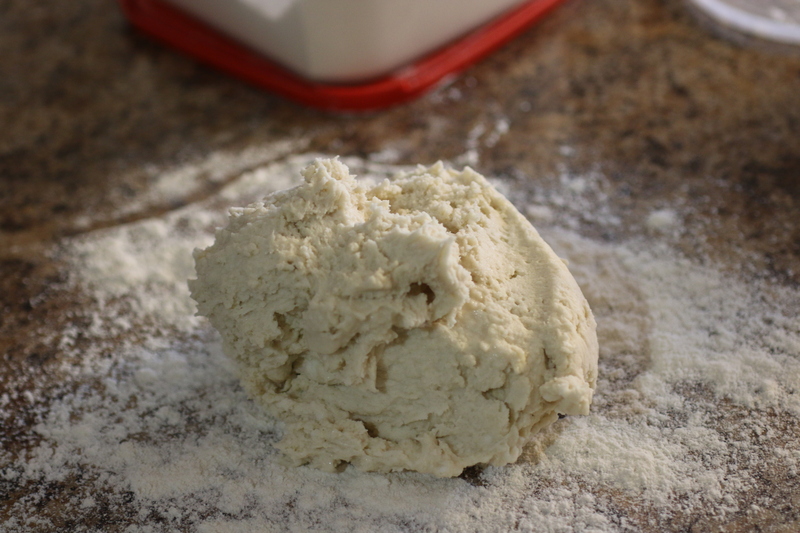 Brush off the excess flour, and place biscuits onto an ungreased baking sheet. Bake for 15 to 20 minutes in the preheated oven, or until lightly golden.